Unique position with total privacy. Beautiful views of the Serra de Monchique and sea. 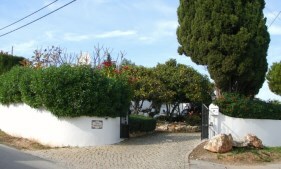 5km/15min by car to Lagos city center and Marina Lagos, 88km/1h to Faro Airport. This property offers potential qualities for Local Tourism. With good areas and leisure outdoor space with heated pool and shower. 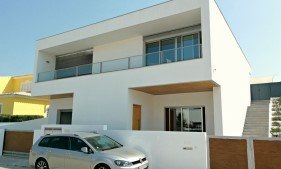 Large garage (30 m2) for 2 cars or more, with access through electric gates. In Lagos in a quiet residential area close to everything. House in excellent condition. Opportunity. Charming 3 storey house located in a quiet residential area. 10 min from the beach. Can accomodate a total of 8-10 persons. Place of excellence, 5 minutes walking distance from Praia Porto Mós. 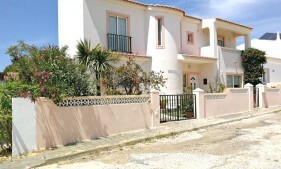 Charming 2 storey house in a quiet residential area, 12min/Praia da Luz, 15min/Lagos and 1h/Faro Airport. The terrace with swimming pool and garden serves as an oasis for a perfect outside living space!